This curriculum design is suitable for a broad audience including elected and appointed court managers and staff with court wide and departmental responsibilities as well as leadership judges from every jurisdiction and type of court. This content may be best suited for learners who have some experience in the courts. The best class composition is a mix of court managers and judges from similar jurisdictions and types of courts. Caseflow Management is the process by which courts carry out their primary function of moving cases from filing to disposition. The management of caseflow is critical because it helps guarantee every litigant receives procedural due process and equal protection. Workflow Management involves the coordination and support of all tasks, procedures, resources (human and other) necessary to guarantee the work of the court is conducted efficiently and is consistent with the court’s purposes and responsibilities. 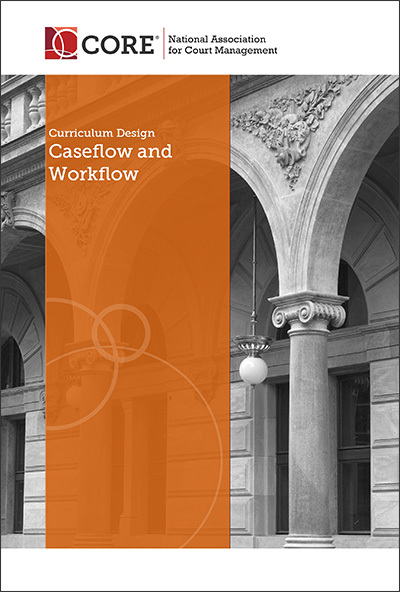 While Workflow Management includes Caseflow Management, it also includes all tasks and functions necessary for the court to operate as an organization. The following learning objectives are designed for a comprehensive course on caseflow and workflow. Create a focused action plan for specific caseflow management changes.